Background: Perforated appendicitis is the most important cause of community acquired secondary peritonitis (CASP) in children. Knowledge of antimicrobial susceptibility of isolated pathogens is mandatory for a correct administration of empiric therapy. 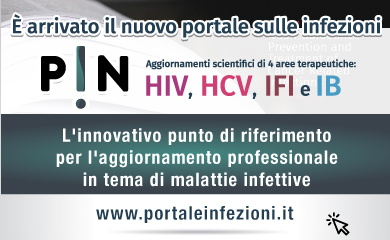 Patients and Methods: Retrospective analysis of pathogens isolated from peritoneal fluid in children with CAPS followed at the Istituto Giannina Gaslini (Genoa, Italy) from 2013 to 2015. Results: A total of 117 bacterial strains were detected: 52% Enterobacteriaceae, 14% P. aeruginosa, 19% Gram-positives, 13% Gram-negative anaerobes, and 2% Fungi. Resistance to ampicillin-sulbactam was detected in 33% of Enterobacteriaceae and 10% of enterococci. Moreover 15% of Enterobacteriaceae were resistant to gentamycin and 10% to piperacillin-tazobactam. No strain of P. aeruginosa was resistant to piperacillin-tazobactam. None of the Gram-negatives was resistant to cerbapenems and no Gram-positive strain was resistant to vancomycin. Concomitant resistance to ampicillin-sulbactam and gentamycin was detected in 13% of strains, while no strain was concomitantly resistant to piperacillin-tazobactam and gentamycin. These data were different from a previous 6-year observation in our centre. Conclusions: The present study demonstrates that continuous monitoring of aetiology and antimicrobial susceptibility is mandatory for a correct management of CASP in children.